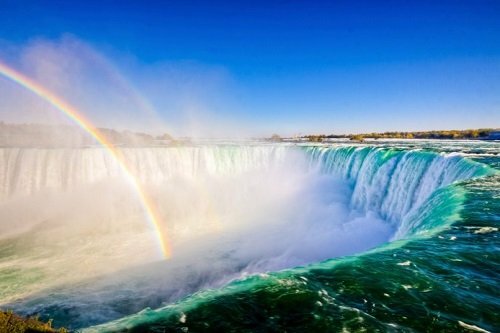 This tour features all the adventure that is Niagara Falls, USA. 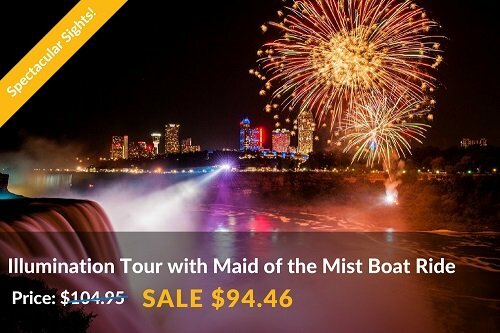 Includes the breathtaking Cave of the Winds Trip, a ride aboard the world-famous Maid of the Mist, and a visit to the oldest state park in the USA, Niagara Falls State Park. *No Passport Required! This tour includes all the same adventures as the All American Tour, plus the spectacular and colorful nighttime illumination of the Falls. This is an experience you don’t want to miss. *No Passport Required! No need to worry about passports or visa’s when enjoying the All American Excursion, which includes the historic Maid of the Mist boat ride and the adventurous Cave of the Winds trip PLUS Lunch at Niagara USA’s Hard Rock Café. 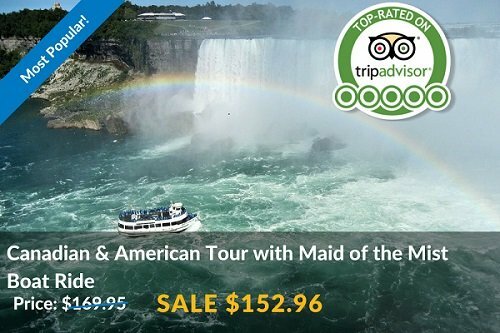 Rated #1 for Best Value and Views, this all-time favorite tour features breathtaking sights throughout Niagara Falls. 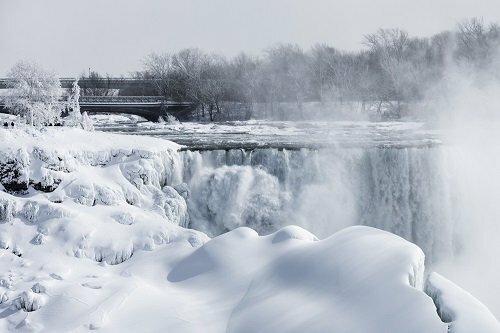 Highlights include a thrilling Journey Behind the Falls and a spectacular aerial view of the Falls, River, and Gorge from a top the Skylon Tower. Passport Required. 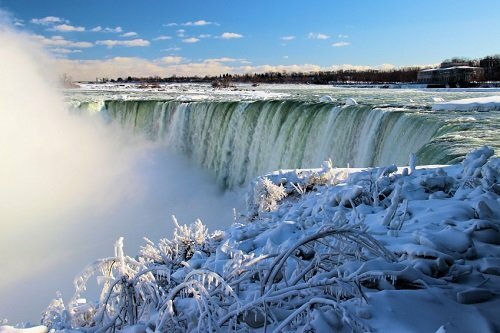 This tour which takes place from December through early spring features all the adventure, beauty, and natural wonder that is Niagara Falls, USA. It is designed for those who do not have proper documents to enter Canada. No Passport Required! This tour features all the adventure, beauty, and natural wonder that is Niagara Falls, USA. 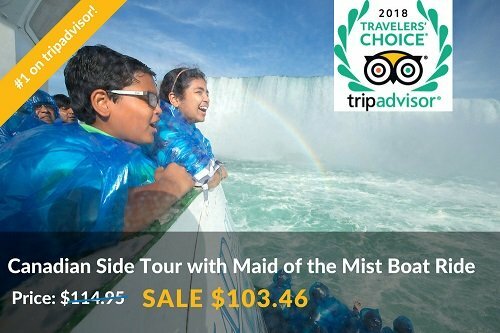 Includes the breathtaking Cave of the Winds Trip, a ride aboard the world-famous Maid of the Mist boat, and a visit to the oldest state park in the country, Niagara Falls State Park. *No Passports Required! This tour includes all the same adventures as the All American Tour, plus the spectacular and colorful nighttime illumination of the Falls. This is an experience you don’t want to miss! No Passport Required! Fly in and out the same day to see everything Niagara Falls has to offer. No need to worry about passports or visa’s when enjoying the All American Excursion, which includes the historic Maid of the Mist and the Cave of the Winds plus lunch at Niagara USA’s Hard Rock Café. 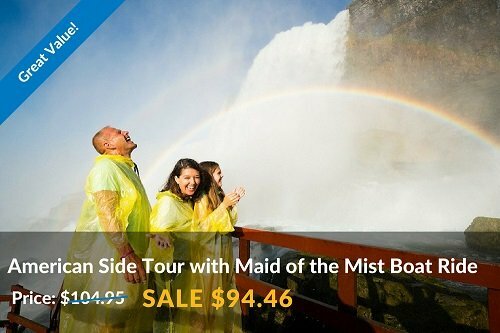 It’s time to “Explore the Roar” and enjoy the best of both sides of Niagara Falls with our most popular Over the Falls Package which includes sailing onboard the Historic Maid of the Mist and a delicious buffet lunch while overlooking the Majestic Falls. 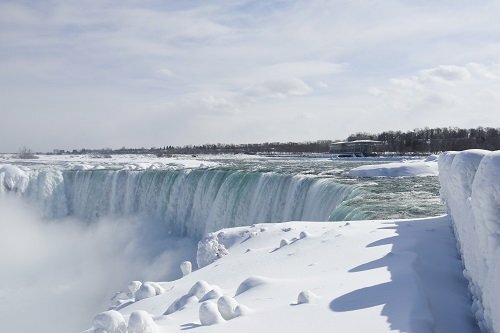 Our Niagara Falls tour packages are top rated on TripAdvisor. 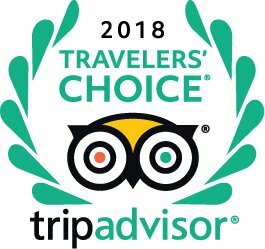 This year we were honored to receive the 2018 Travelers Choice Award with our “Canadian Side Tour with Maid of the Mist Boat Ride” reaching the top 10 things to do list in Canada.